This picture captured her personality the best, somehow. 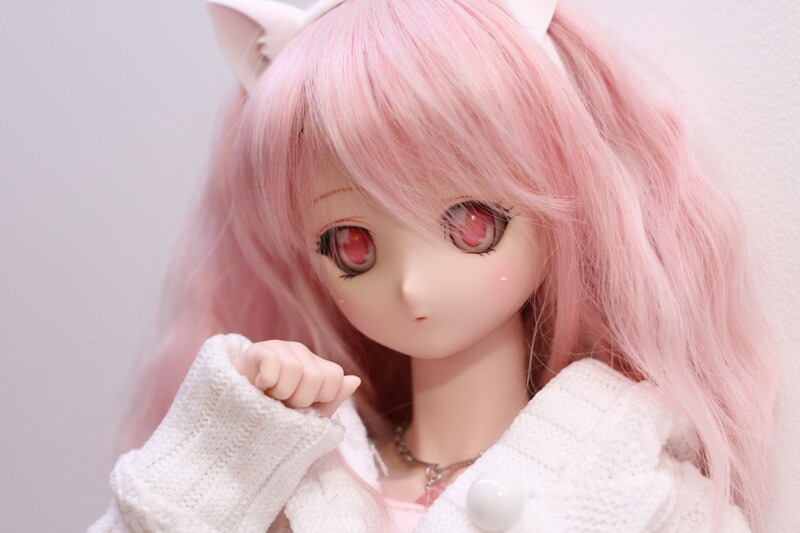 Sakura arrived last year, but I never properly introduced her…. she will probably also get some more modifications and a rename, but for now she’s just Sakura. This is Marisa – yes, modeled on that Kirisame Marisa – who was my fifth DD. 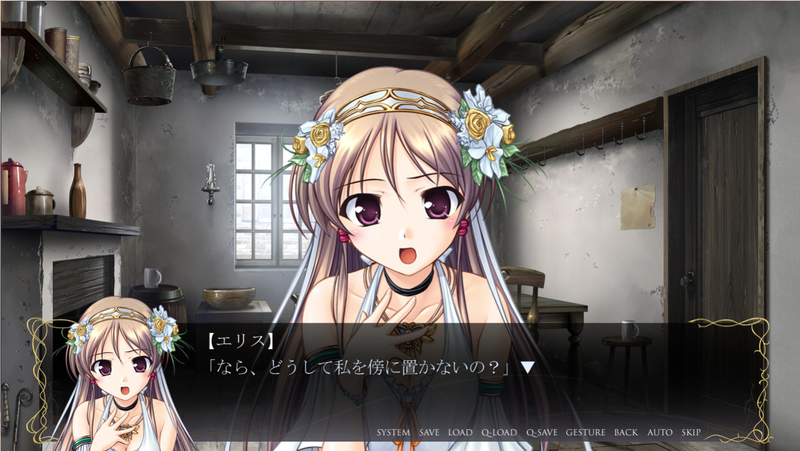 When she was released, I resisted for a long time, but…. 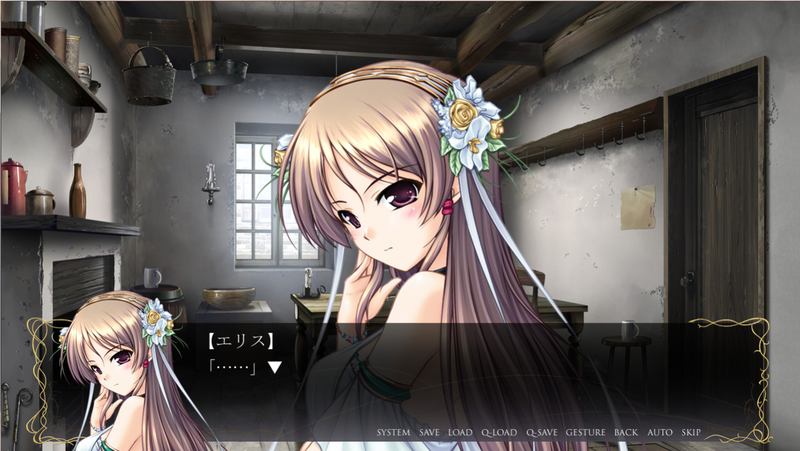 she won me over with her subtle w mouth and I caved. 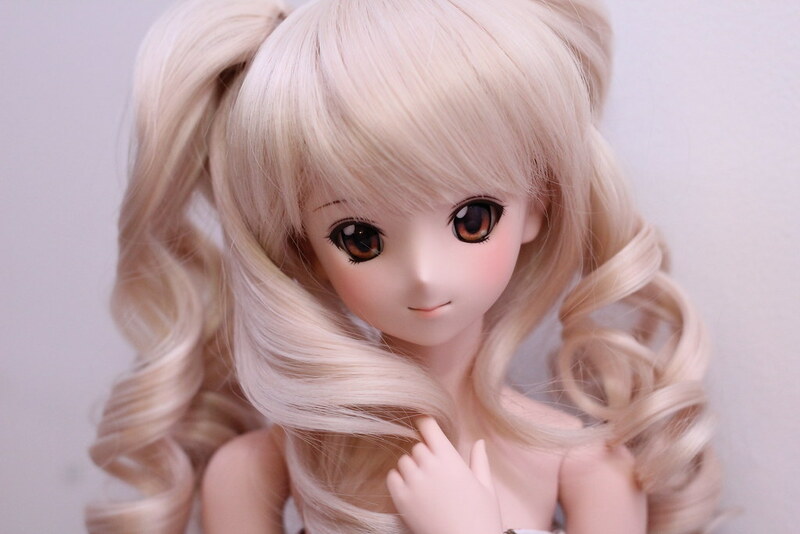 (She also was released on a new body – the Dollfie Dream Sister – which was a little smaller than the standard DDII body, and came with the most adorable clenched hands…) I’ve never dressed Marisa in her stock outfit, and she tends to have a kind of schoolgirl vibe. 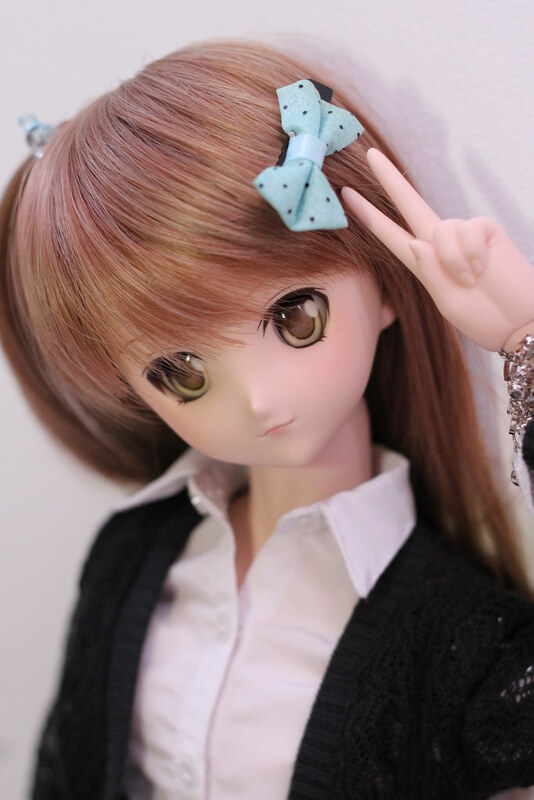 This is Saku, who was my very first Dollfie Dream. I might do a small post on them later, but basically they’re expensive adorable 60cm vinyl dolls that are released in a limited quantity and are often modeled after anime or game characters. 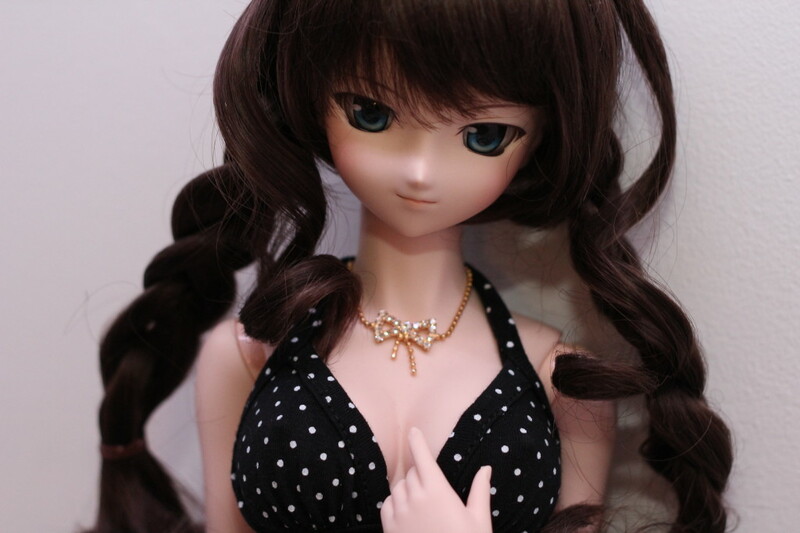 Before Saku, I had another 60cm doll that looked slightly more human, and is a ball-jointed resin doll that is strung (rather than having an internal skeleton). 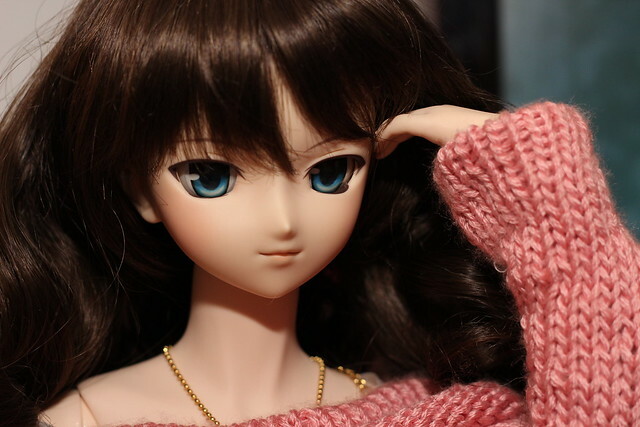 I find DDs to be significantly easier to dress up and pose, so I haven’t taken the BJD out of her case in a long time…. 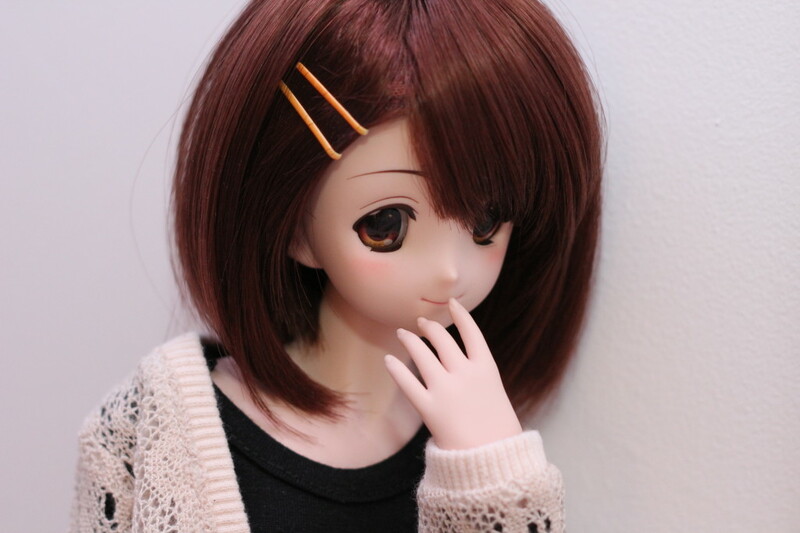 Just a quick shot of Rin since I was dressing her up today….